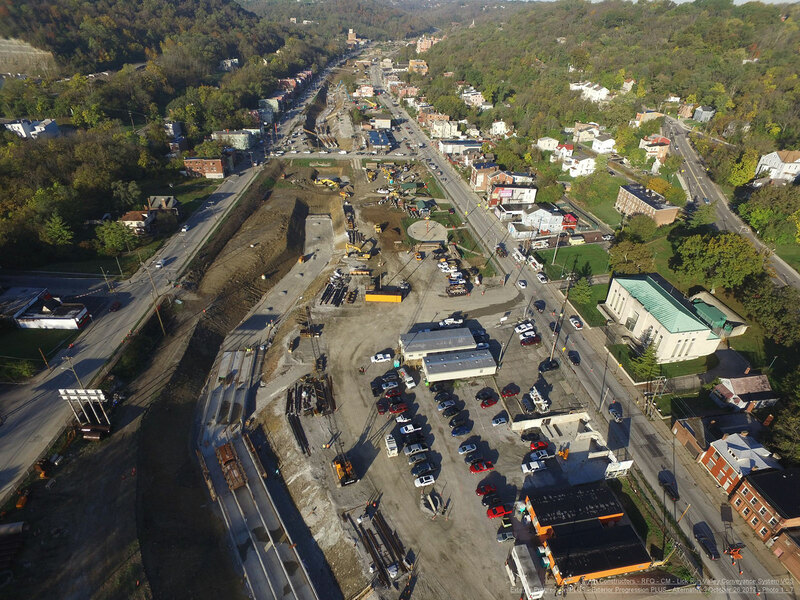 MWH Constructors is providing construction management services for the Lick Run Greenway project, which will help keep stormwater out of the Metropolitan Sewer District’s (MSD’s) combined sewer system and reduce combined sewer overflows (CSOs) into the Mill Creek. The project includes a variety of gray and green infrastructure projects across the watershed, including new storm sewers, bioswales, stream restoration, stormwater detention basins and bio-infiltration gardens. When completed, the project will eliminate nearly 400 million gallons of Combined Sewer Overflow and ensure that 88% of the flows during a typical year of rain will either reach the Mill Creek Treatment plant or be discharged as stormwater to the Mill Creek. The Greenway also includes the creation of a mile-long bio-engineered creek in a park-like setting, which will wind through the valley corridor and mimic a natural stream. This project will improve water quality, create new jobs, and provide opportunities for neighborhood revitalization.